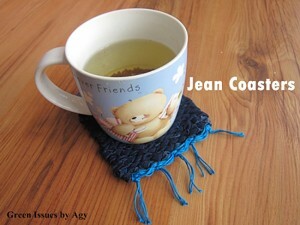 Patriotic holidays call for celebration! 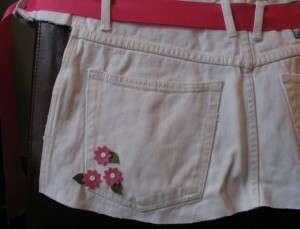 The 4th of July is less than a month away and there will be lots of parties and cookouts going on. 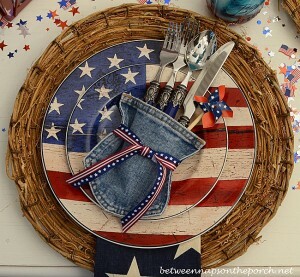 Will you be having a big cookout this year or just celebrating with family? 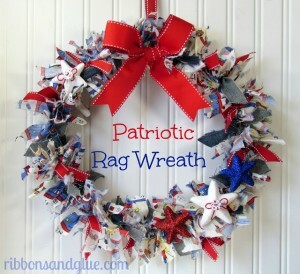 Are you looking for a fabulous way to dress up your front door for Independence Day? 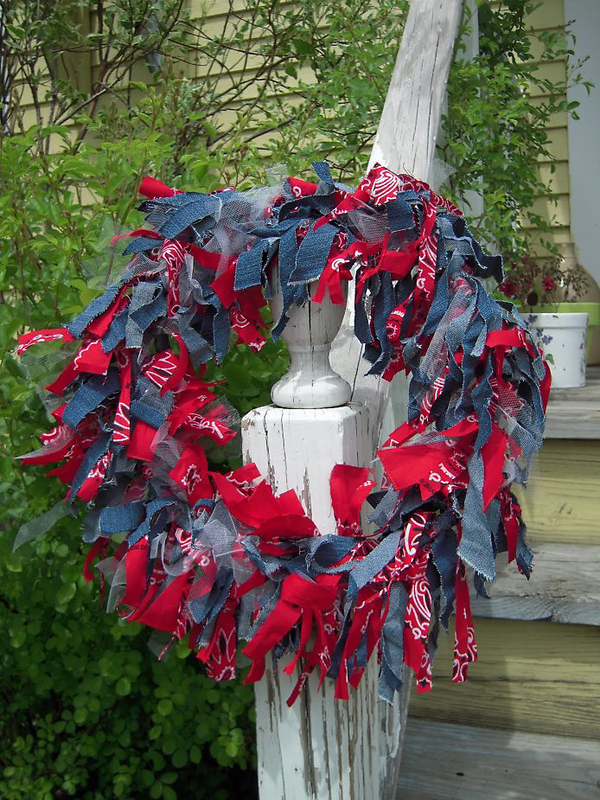 I’ve featured other recycled denim wreaths before here at Denim Do Over, but this is the first one I’ve shared that was done in patriotic colors of red, white and blue. 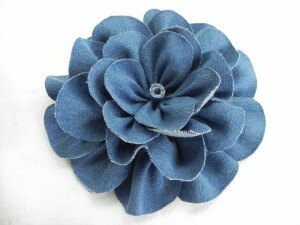 This adorable wreath by Marvelously Messy is a great way to recycle those old jeans. 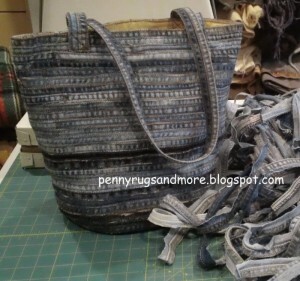 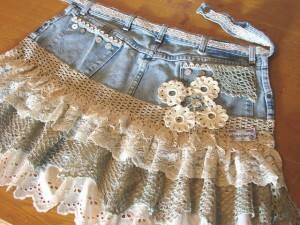 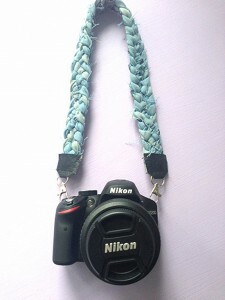 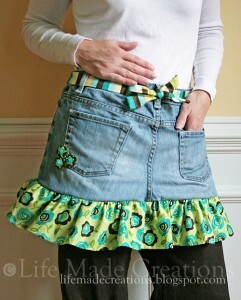 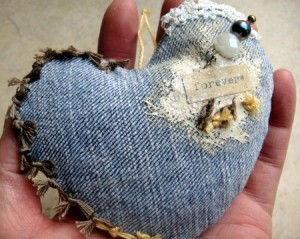 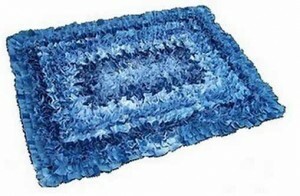 It’s also a way to use up all those left over denim scraps from your other recycled jean projects! 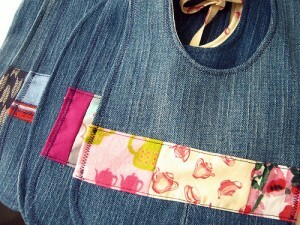 Did I mention this is a no-sew project? 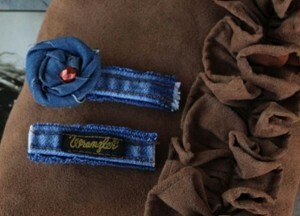 Yep, no sewing necessary to make this darling wreath!